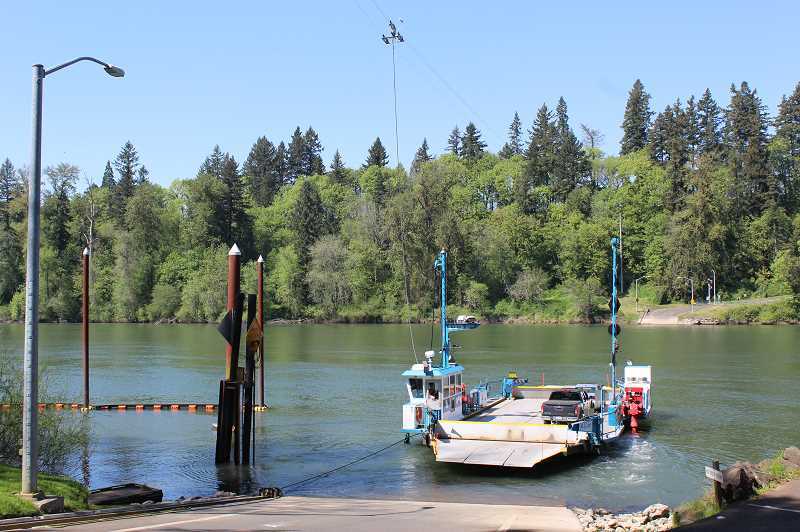 Clackamas County is nearing the end of a year-long study of the feasibility of various alternatives for crossing the Willamette River between Canby and Wilsonville at the present location of the Canby Ferry. The findings from that study will be presented at a public meeting scheduled for 6 p.m. to 8:30 p.m. on Tuesday, Jan. 15, at Canby Foursquare Church, 2350 SE Territorial Road in Canby. The meeting will include a formal presentation beginning at 6:30 p.m., and plenty of time for questions, comments and talking with staff. The draft report and materials from the meeting will also be available on the project website. The public will have a chance to express their views and ask questions of the Board of County Commissioners at a public listening session on Feb. 19 in Canby. Project Manager Stephen Williams, the county's principal transportation planner, notes that no decisions have been made on whether to build a bridge or on the future status of the Canby Ferry. Any further action would only come with direction from the board after the Feb. 19 meeting, and would only happen with additional public input. The Canby Ferry is operated by the county's Transportation Maintenance Division. The study was prompted by the fact that, as a transportation route, the Canby Ferry is expensive to operate and very inefficient in terms of the number of travelers it can accommodate. While the ferry carries passengers across the Willamette River between Canby and Wilsonville during daylight hours, it cannot operate when the river level is above 70 feet or during inclement weather, it can only carry six cars at a time, it costs motorists $5 per vehicle for a one-way trip, and it costs the county about $450,000 more to operate than it receives in revenue. The alternatives feasibility study includes detailed traffic modeling, impacts on area roads and cost estimates of options including continuing ferry operations, discontinuing ferry operations, and building a bridge or a toll bridge at the ferry location.